For improved readability of block diagrams, each Simscape™ domain uses a distinct default color and line style for the connection lines. Physical signal lines also have a distinct style and color. Domain-specific line styles apply to the block icons as well. If all the block ports belong to the same domain, then the whole block icon assumes the line style and color of that domain. 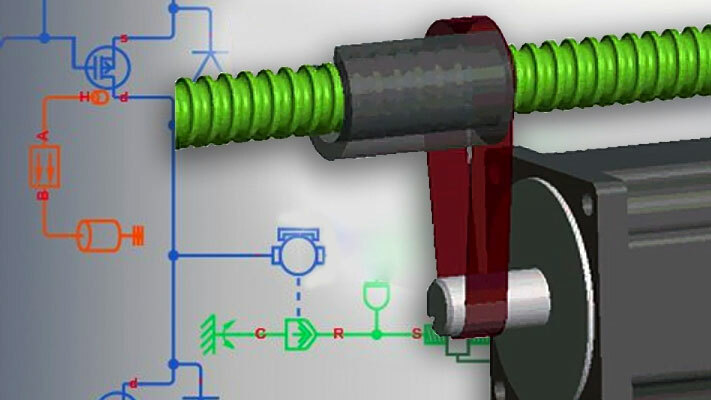 If a block has multiple port types, such as the Rotational Electromechanical Converter, then relevant parts of the block icon assume domain-specific line styles and colors. To view the line styles assigned to each domain, in a model window, from the top menu bar, select Display > Simscape > Legend. 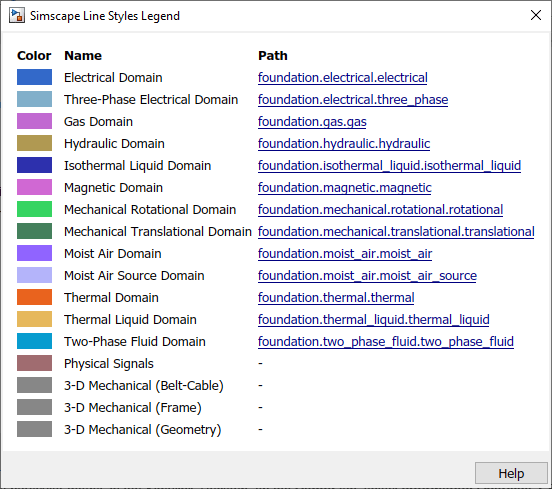 The Simscape Line Styles Legend window opens, listing the line color assigned to each registered domain, the domain name, and the domain path. If you click a domain path link, the Simscape file for the corresponding domain opens in MATLAB® Editor. For more information on domain paths and files, see Foundation Domains. To turn off domain-specific line styles for a particular model, in the model window, from the top menu bar, select Display > Simscape > Domain Styles. 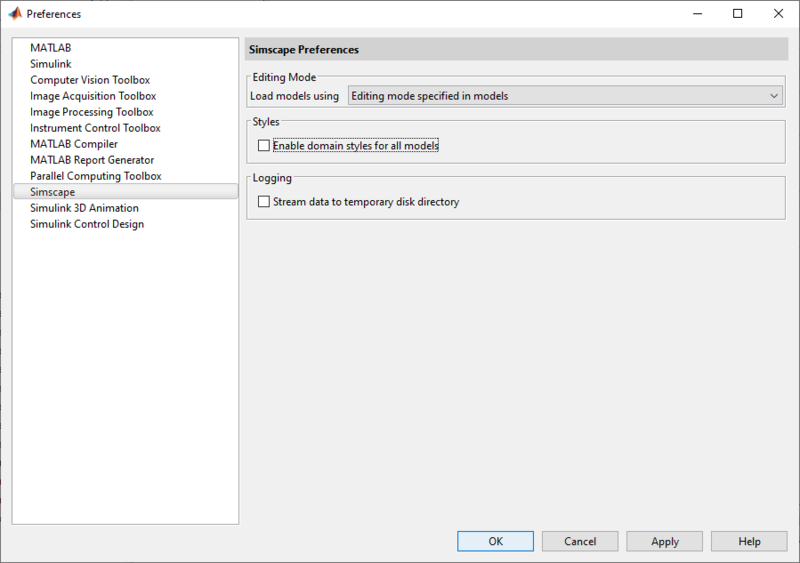 This action clears the check mark next to the Domain Styles menu option, and the block diagram display changes to black connection lines and block icons, with physical ports visible at connection points. Repeatedly selecting the Domain Styles menu option toggles the domain-specific line styles for this model on or off, as indicated by the check mark. To turn off domain-specific line styles for all models, on the MATLAB Toolstrip, click Preferences. In the left pane of the Preferences dialog box, select Simscape, then clear the Enable domain styles for all models check box.